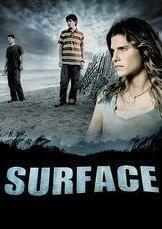 Rate "Surface (TV Series) (2005)"
Ever wonder what life would be like if a new form of sea life began to appear in locales all over the earth? In this expansive drama, those who are about to find out include some naval officers in the South Antarctic Sea, a family in San Diego, scientists from the Oceanographic Institute in Monterey, and fishermen in the Gulf of Mexico. The seemingly innocent creatures they find are beautiful and kids may even want to play with them -- but is there something more to them? One thing's for sure - they're full of surprises as viewers can embark on this unfathomable journey to discover what might be lurking in the sea.